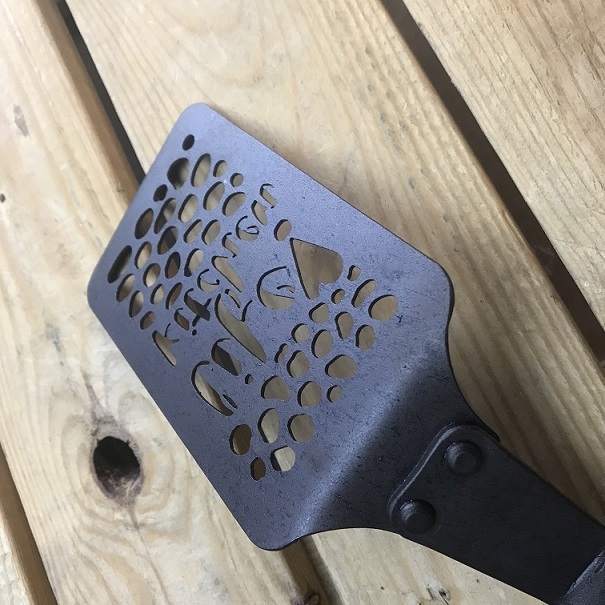 When you buy this spatula, Netherton will donate £5.00 to LIFE KITCHEN. 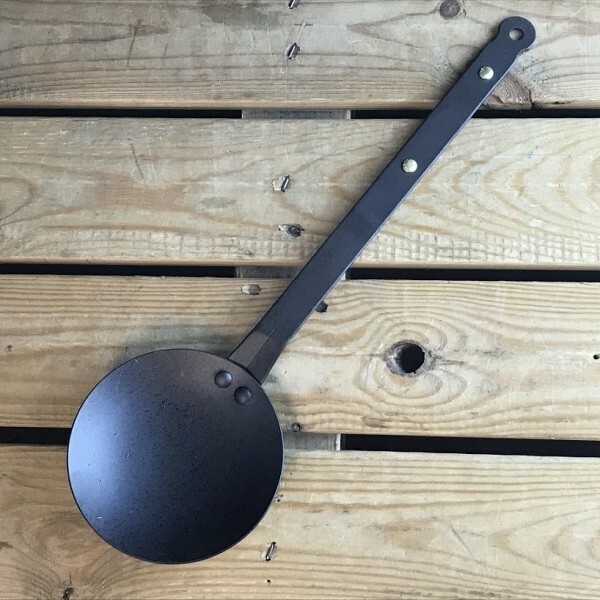 The black Iron LIFE KITCHEN frying spatula is the perfect tool to use with all spun iron, cast iron and stainless pans. 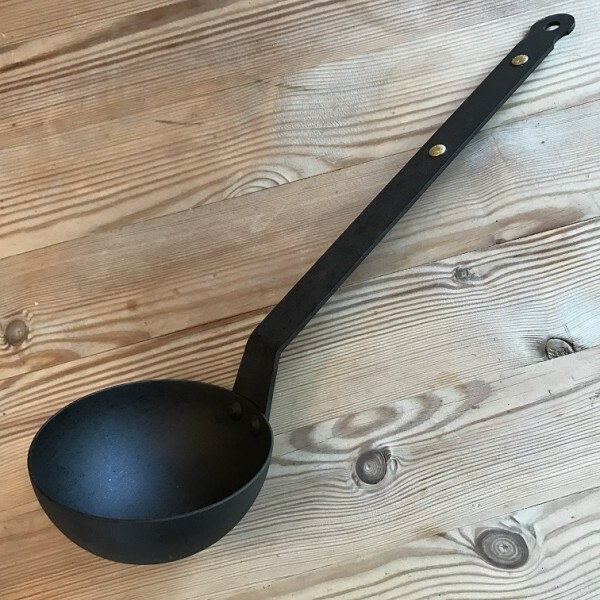 An essential tool for all cooks as it's safe to use at oven and frying temperatures. 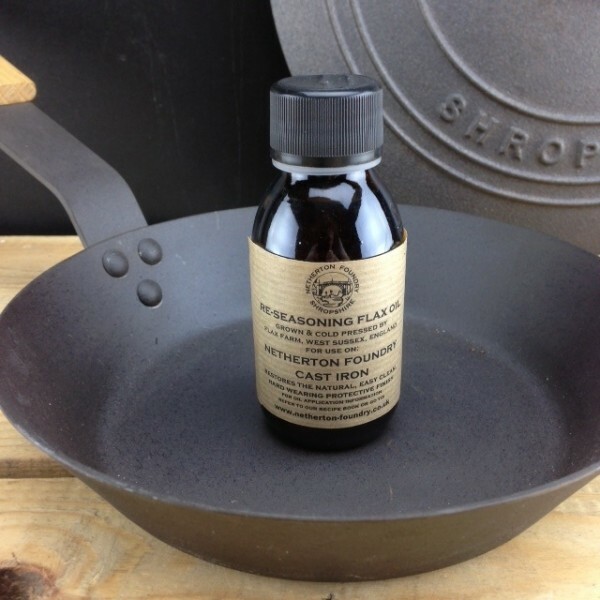 We don't recommend using black iron tools on PTFE coated pans, so it's time to go PTFE free and buy a spun iron pan to complement your LIFE KITCHEN spatula. 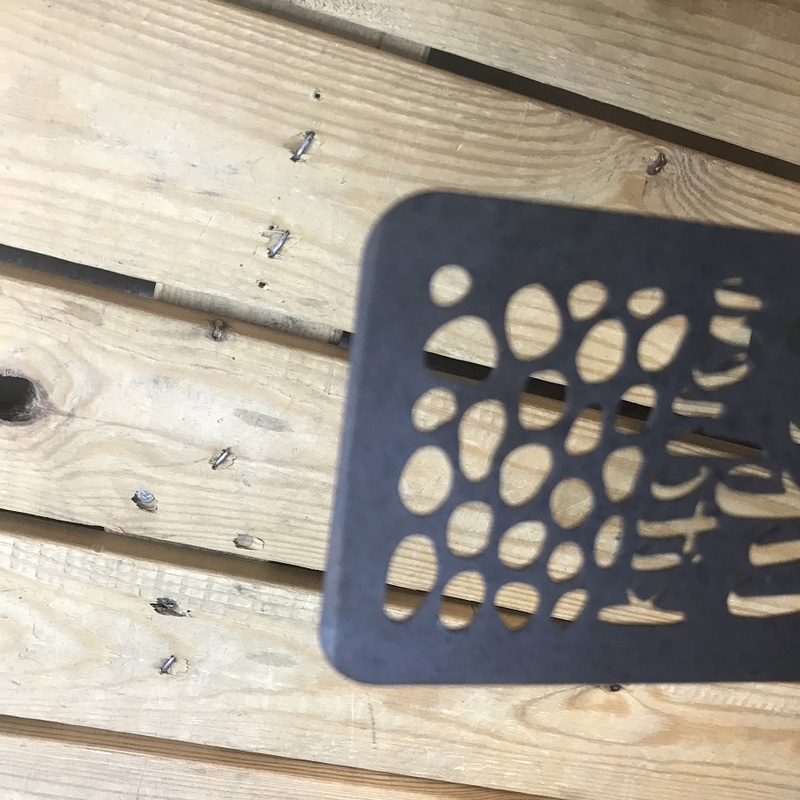 The 1.3mm black iron spatula blade has a ground lower front edge. 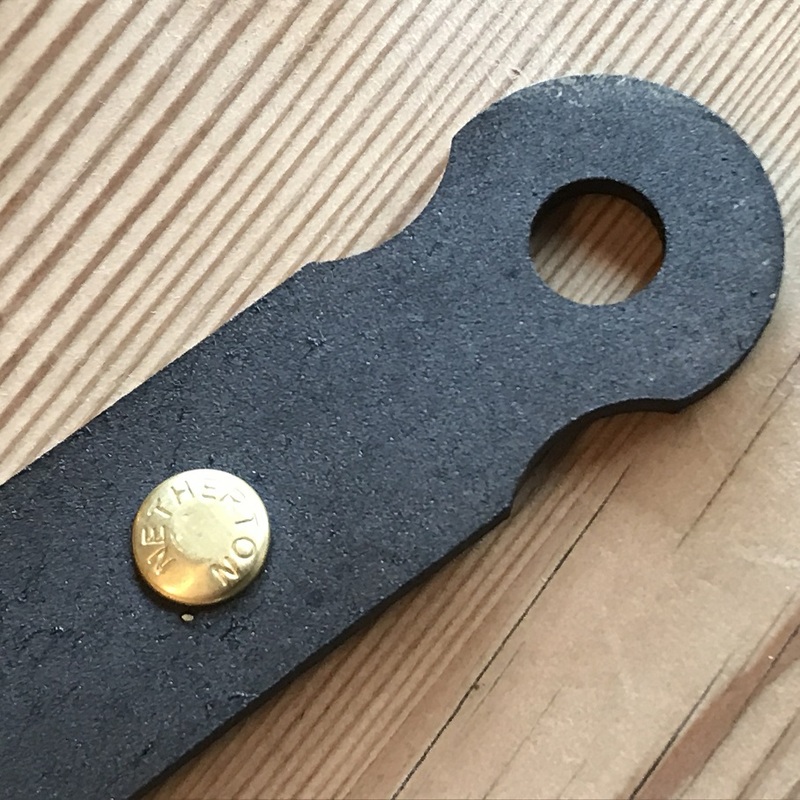 Heavy duty 3mm thick black iron handle. Highlighted with a Netherton brand brass rivet. LIFE KITCHEN offers free cookery classes across the UK for people living with cancer. It focuses on delicious food and giving joy to people at difficult times. Food writer Ryan Riley founded this charitable initiative in memory of his mother, Krista, who, at just 47, lost her battle against small-cell lung cancer in 2014. About 80% of people undergoing chemotherapy find that the treatment robs them of their ability to taste. This not only makes food unpalatable for them, it takes away one of the pleasures of life. 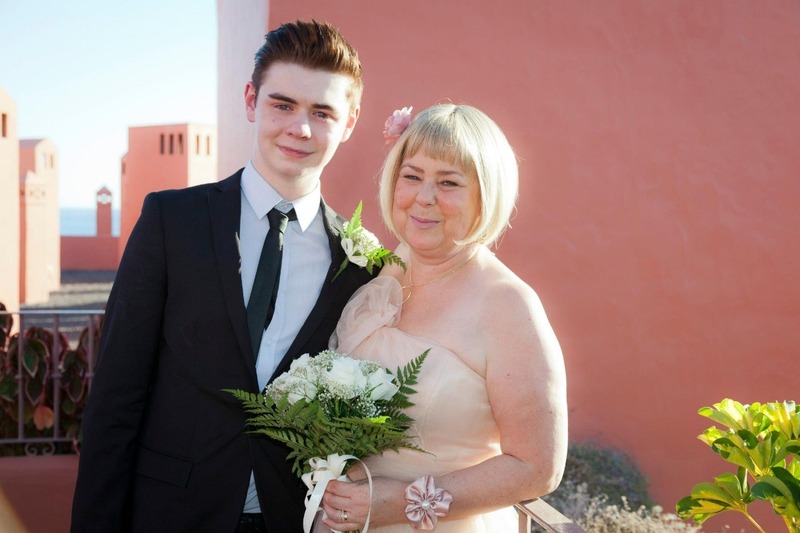 That was Ryan's mum’s experience, and it’s why he's set out on this journey to help other people living with cancer. Click here to watch : Tasty cooking for chemo patients with Ryan Riley of Life Kitchen on BBC TV's Inside Out. 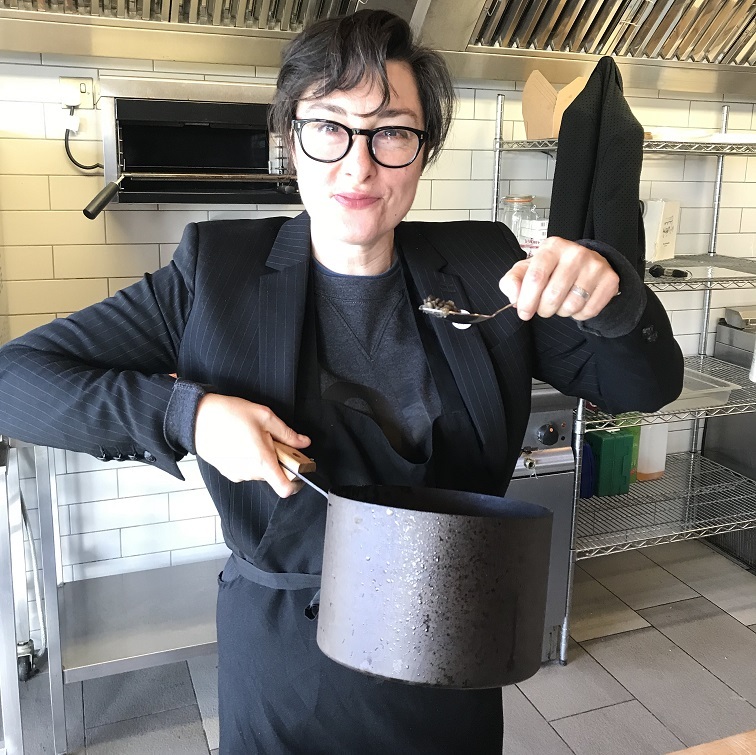 Sue Perkins, patron of LIFE KITCHEN , TV presenter and former Great British Bake Off star, is the permanent co-host of LIFE KITCHEN. Ryan with his mother , Krista. 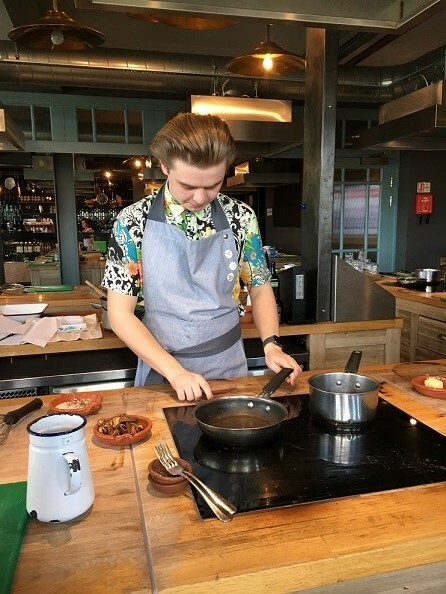 Following a fantastic response from the public, press and well-known faces including Nigella Lawson and Jamie Oliver, in February 2018, LIFE KITCHEN launched its first classes at Hugh Fearnley-Whittingstall’s world-famous River Cottage in Devon. 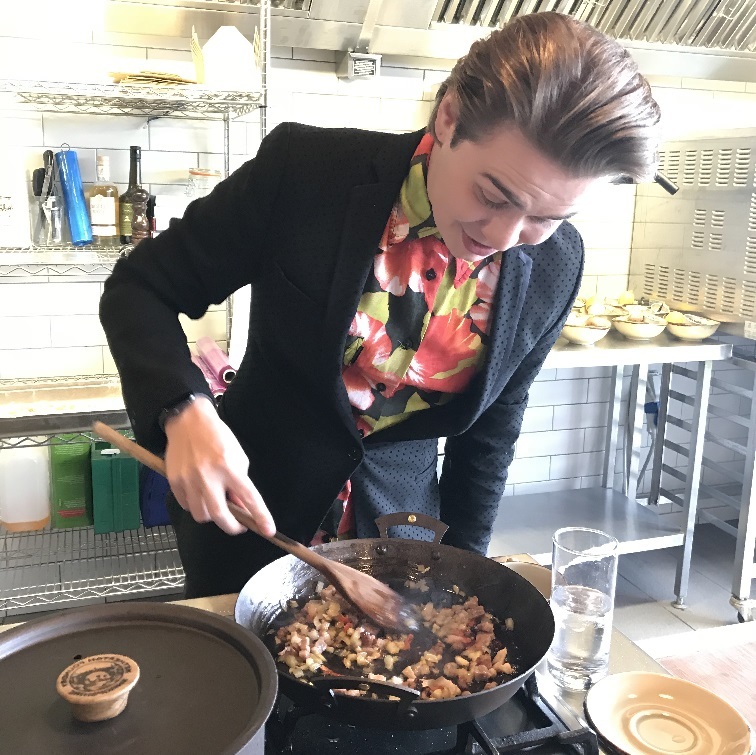 LIFE KITCHEN has already hosted more than 100 other guests in the first 3 months of operation at venues including the Jamie Oliver Cookery School in central London, Daylesford farm in Gloucestershire and At the Kitchen in Manchester. Professor Barry Smith of the University of London, a world authority in taste and the senses, has come on board and is working with LIFE KITCHEN to undertake pioneering research for the classes so that people living with cancer can experience the comfort and delight of flavour again. Ryan, the force behind LIFE KITCHEN, is developing new recipes based on this exciting, innovative research and will be taking these recipes and techniques across Britain in their FREE classes. Sue and Ryan now need your help to take their classes and message to as many people as possible all over the country. Publish recipe books, produce YouTube videos and fund their classes at independent cookery schools across the UK to bring LIFE KITCHEN to the widest possible audience. Your donation will not only to pay for world-leading research that will form the basis of future classes, but will also enable them to bring LIFE KITCHEN to the people who need it most, all over Britain, for free. Please give whatever you can so they can achieve these goals and make a real difference to the lives of people living with cancer and their friends, families and loved ones. 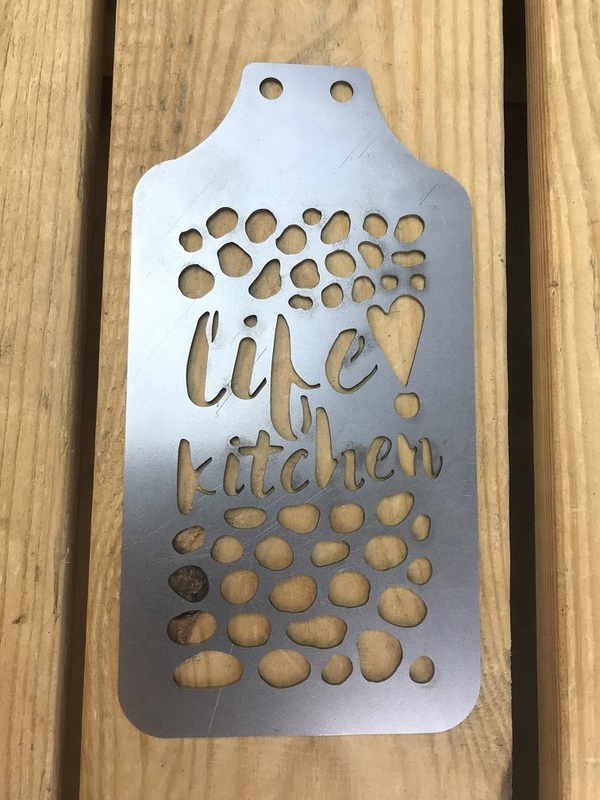 CLICK HERE TO SUPPORT AND DONATE TO LIFE KITCHEN and when you buy this spatula, Netherton will donate £5.00 to the LIFE KITCHEN project. 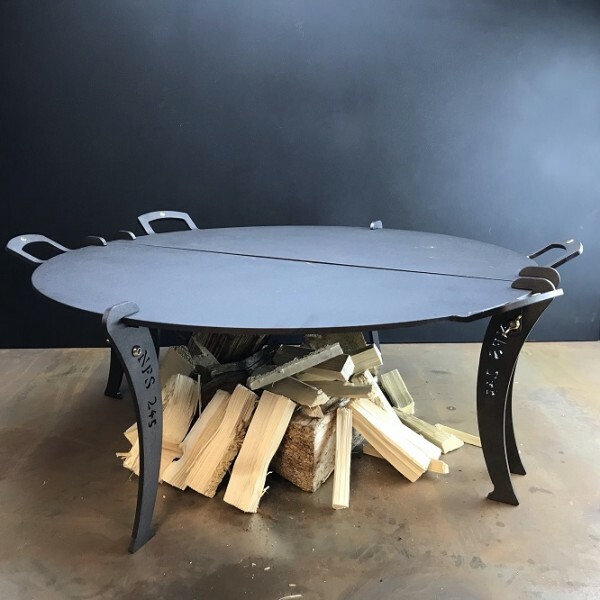 To find out when the next LIFE KITCHEN event is being staged please email: ryan@lifekitchen.co.uk and keep an eye on Netherton Foundry's Twitter and Facebook pages as we will post the dates. HOW WE MAKE THE LIFE KITCHEN SPATULA. 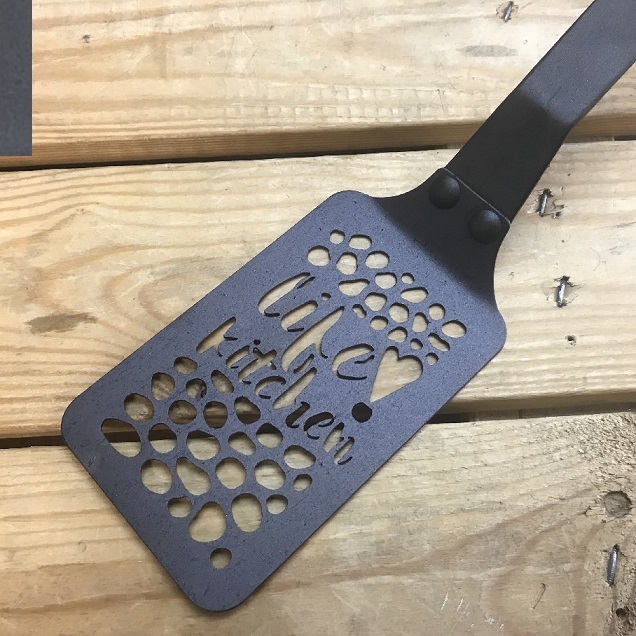 One of the essential parts of this prodcut is the spatula blade, with its very special LIFE KITCHEN logo. We realised we were going to need some hi-tech technical help to get this looking just right. So I went to see our friends Central Profiles who are based about 15 miles south of us in North Worcestershire. They have some amazing kit for cutting, fabricating welding and painting metals. In this case they used their brand new 6KW Bystronic Laser cutting machine ( I have no idea either but its very impressive!) which created the beautifully accurate holes and lettering in the blade, all following my pencil lines from my original pencil sketch. 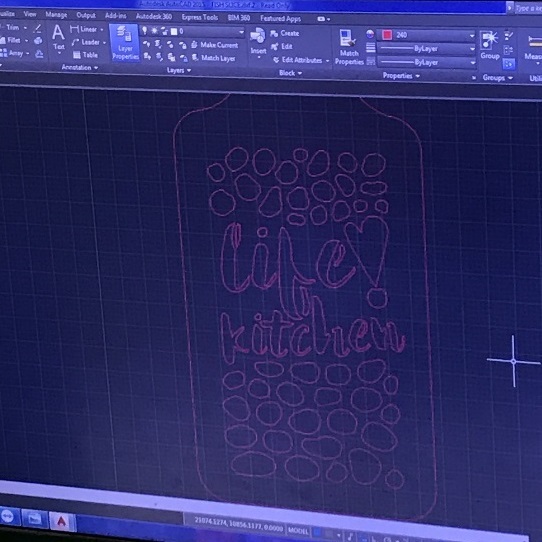 We'd like to thank Central Profile's owner Russell and his whole technical team (including Andy, Adam, Keith, Tom, David and the rest of guys) who when they heard about the LIFE KITCHEN project just said, "yes, we'll get that sorted". It's great to work with people with a "can do" attitude, it really raises your spirits. 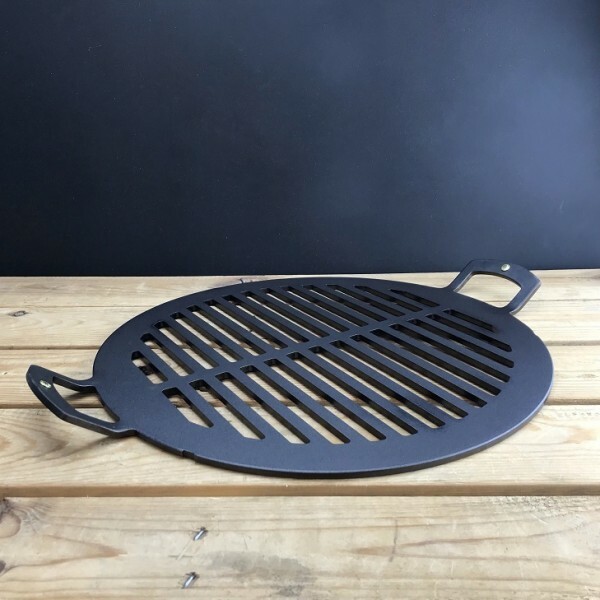 Why choose a pre- seasoned Black iron cookware.